This week we would like to feature a stunning star trails shot captured by photographer Steve Ryan. Taken during the Perseid Shower five years ago, this photo was compiled specifically to highlight the meteors. 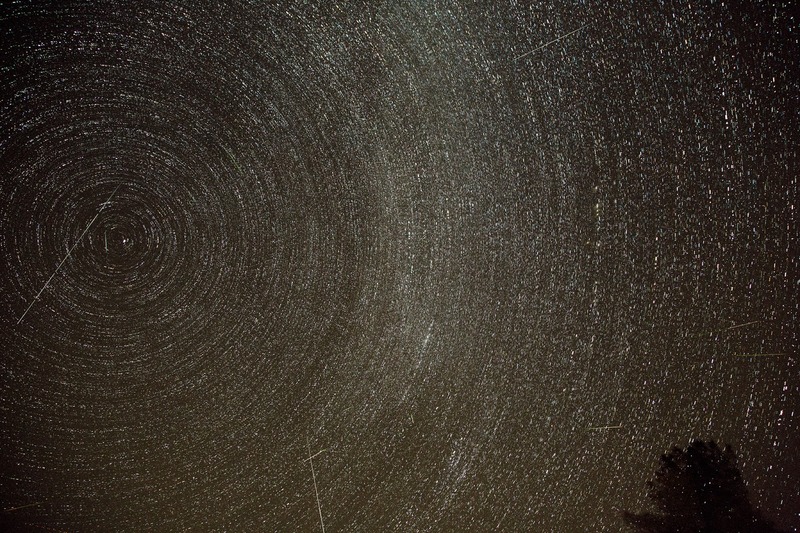 Instead of the usual smooth lines visible in a typical star trails photo, this shot combined frames that were taken consecutively of each other with some that were taken minutes apart to create the segmented effect visible in the round circles of the trails.